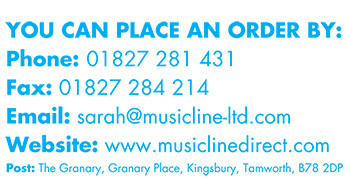 No pianist required! These 2 CDs include ALL the Backing Tracks, Incidental Music and Special Effects (105 tracks on 2 CDs) in the order you need them enabling production and direction to take place without specialist musical expertise. Grade 6/7 standard, see "Script & Songs" below. Grade 4/5 Standard, see "Script & Songs" below. See "FREE Resources" below to download "Props" ideas; for full list of "Props" see Script sample. Click "FREE Resources" below then scroll down to "Gallery of Costume Ideas". "Another brilliant show from Craig Hawes! Our Year 5 and 6 had a blast putting this together and we even managed to extend the script to nearly 65 speaking parts by having 2 sets of Eggheads and 9 Time keepers! I think the songs are some of the best yet being both catchy and clever! As usual the script is fast moving and jam- packed with truly terrible puns! Thank you ." "You'd be mad not to buy this - yet another hilarious hit from Craig Hawes. It's a laugh-a-minute show, with jokes for all ages strewn in cleverly along the way. The songs are catchy and easy to pick up; you'll be singing them for weeks afterwards! Our Year 3 & 4 children had a fantastic time rehearsing and performing this super show and they (and their audiences) will remember it for years to come. Fred Flinstone eat your heart out!" "We absolutely loved this show. The most fun we've ever had rehearsing. Went down a storm with children and parents and the songs are so catchy that the whole school are singing them! Well done Craig Hawes another smash hit. Thank you!!" "We performed this hilarious production with all our KS2 children and it was a huge success! We split the show into two halves with an interval, which worked perfectly. Children and adults loved the humour and the Stone Age theme, and the songs are just superb! 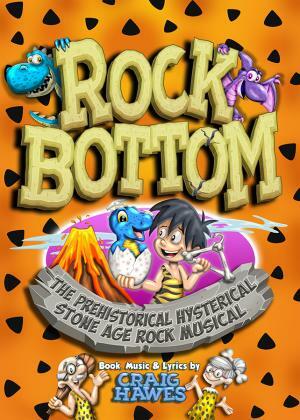 Rock Bottom really rocks!" "Our Year 5s had a blast with this show. Such a clever, funny, fast-moving script, brilliantly catchy songs and so easy to costume! Great fun from beginning to end - I think this is my new favourite Craig Hawes show!"